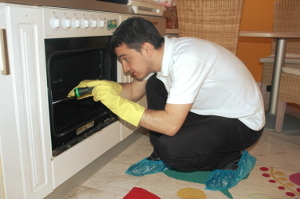 Trustworthy Oven Cleaners in W11 Holland Park | RDA Cleaning & Maintenance Ltd.
RDA Cleaning & Maintenance Ltd. is a provider of a high-quality oven cleaning services for your residential needs. With years of experience in domestic cleaning, we strive to give you only the best of services at an affordable price. With our fully insured oven cleaners in Holland Park W11 and list of service, we are happy to say that quality has found its home in the entire London area. So if you are done with your choice. If you want to hire an expert oven cleaning Holland Park W11 provider, that will do everything in their power bring you only the best of services. Then please feel free to give us a call at 020 3404 1646 or use our online booking form. This way we will be on our way as quick as possible to bring you the satisfaction of owning one of the cleanest kitchens in the entire London!